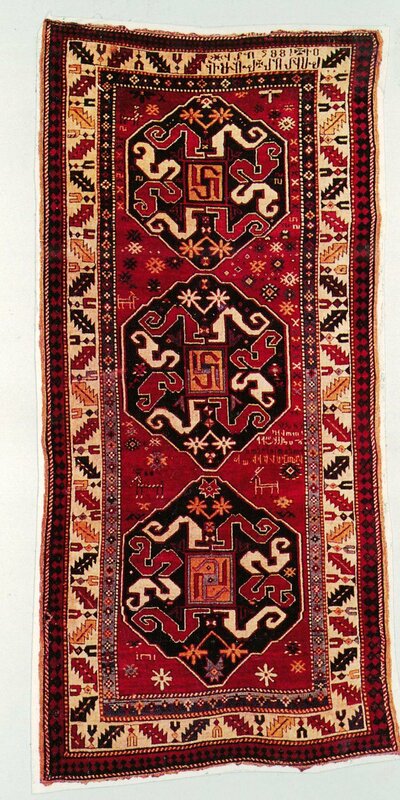 Armenia has been a center of rug production since earliest times, and the earliest known rug (the 600 BC Pazyryk Carpet) has been attributed to the Armenian highlands. 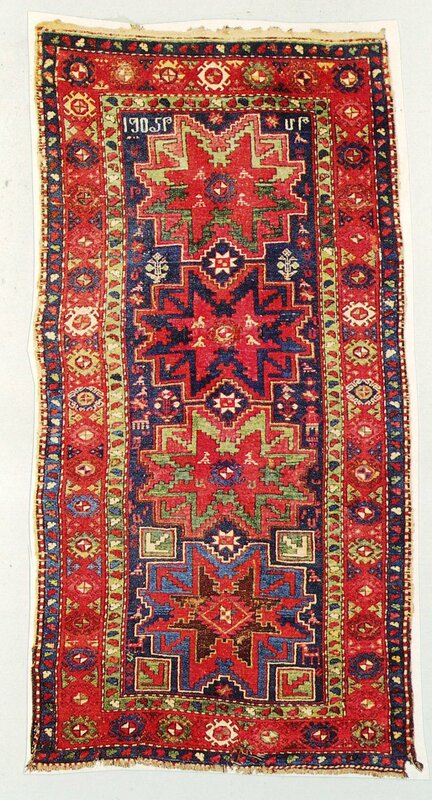 During the Middle Ages Arab writers noted that the rugs from Armenia were sought after as luxury trade items. 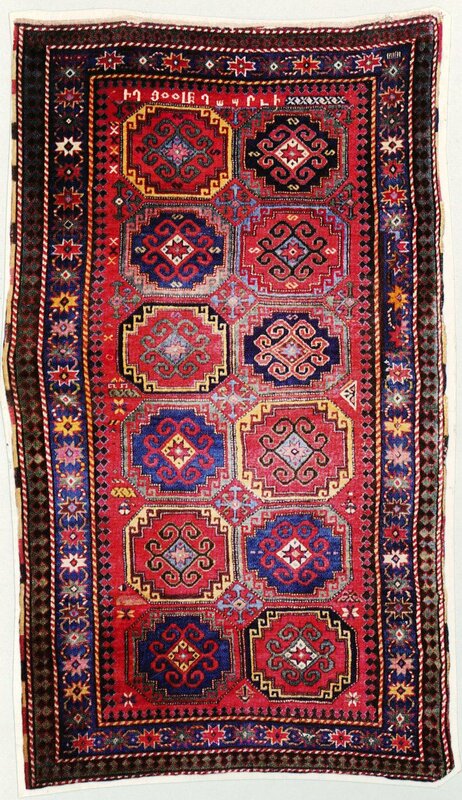 Traveler Marco Polo commented that he considered the rugs made by Armenians to be the finest in the world. 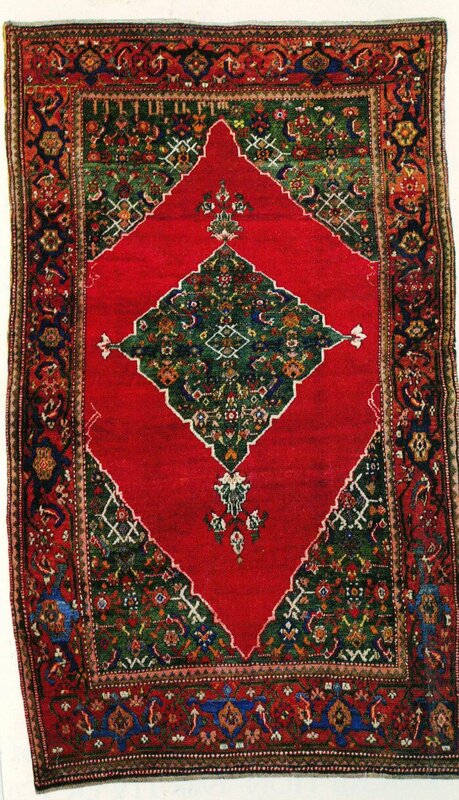 This ancient rug tradition among Armenians was curtailed by the constant warfare of the 15th and 16th centuries, and did not recover until the 19th century, in response to the great demand for oriental carpets in the industrialized west. The Armenian as rug merchant became a Victorian stereotype, but the demand for Armenians rugs included Kazaks, Karabaghs and Kum Kapris. The genocide in Western Armenia and Soviet collectivization in Eastern Armenia shattered the rug weaving traditions, but there have been recent efforts to revive this ancient art.